We are suppliers of Building Plastics at great prices without compromising on quality. As an Official stockist of Deeplas products we supply premium Fascias and Soffits. 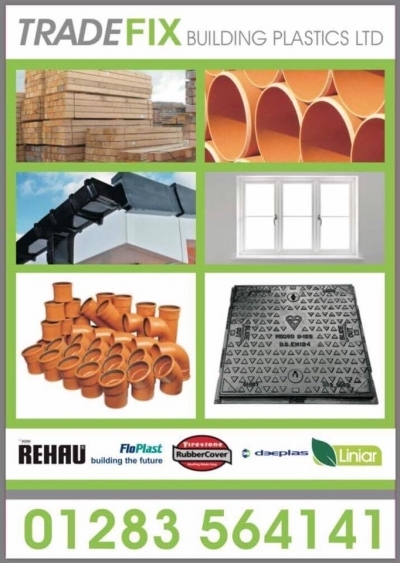 We also stock Flo Plast rainwater products aswell as a range of under and above ground drainage at prices you wont beat. Silicone sealants , fixings , lead , rubber roofing , tools. Suppliers of Rehau , Liniar and Deceuninck Windows.